Karen Bush received a Ph.D. in Biochemistry from Indiana University and worked in pharmaceutical research from 1973 to 2009, primarily in the area of antibiotic drug discovery and development at Squibb (Bristol-Myers Squibb), Lederle, Astra and Johnson & Johnson Pharmaceutical Research & Development. Her basic research involved characterization of antibiotic resistance mechanisms or mechanisms of antibiotic action in order to drive drug discovery efforts. She focused on beta-lactamases and has been a leader in the area of beta-lactamase characterization and nomenclature. Dr. Bush was a member of research teams that served discovered and/or developed aztreonam, piperacillin-tazobactam, levofloxacin, doripenem and ceftobiprole. Dr. Bush has conducted various mechanistic studies on the mode of action of beta-lactamases and has collaborated with others to characterize key beta-lactamases, such as the earliest United States ESBLs, plasmid-encoded AmpC cephalosporinases, the first KPC enzymes and other recent carbapenemases in Gram-negative pathogens. She has published more than 215 peer-reviewed papers and 25 book chapters. She was a member of the ICAAC and ASM Microbe Program Committees, an editor for Antimicrobial Agents and Chemotherapy and mBio and is a Fellow of the American Academy of Microbiology. Dr. Bush is currently a Professor of Practice in the Biotechnology Program in the Biology Department at Indiana University. 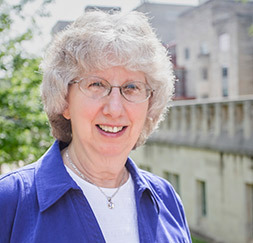 At IU she teaches courses in research ethics and drug development/regulatory affairs and leads a small research group that studies new antibacterial agents and novel resistance mechanisms in carbapenem-resistant Enterobacteriaceae (CRE).